Welcome home to your beautiful property that's just a golf cart ride away from Champlain Country Club. 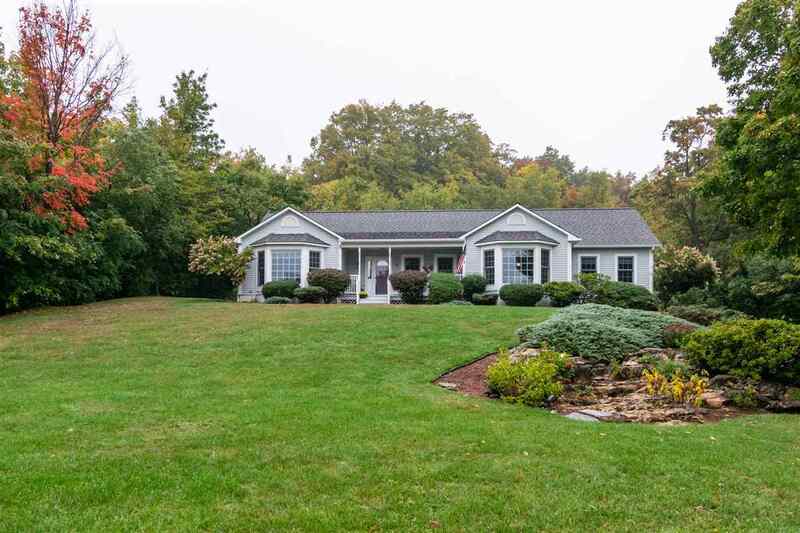 This meticulously cared for 5-Star Energy Rated sprawling ranch has so much to offer. As you turn in and head up the driveway you'll instantly feel âhomeâ. The wooded backdrop sets the stage for a relaxed and private setting, while the plentiful open yard space with rows of mature birch trees and gorgeous perennial beds offers an outdoor oasis to enjoy. Step inside the front door and you'll further fall in love with this well crafted open concept home. The living room features cathedral ceilings, 12' glass windows, french patio doors that open to the back deck (wired for a hot tub), and a gas fireplace that greets you with warmth during the Fall and Winter seasons. A half wall separates the formal dining room to continue the feeling of openness. Enjoy your morning coffee in the den or use this space for a hobby room, office, kids playroom, or whatever fits your lifestyle best. The large open kitchen with maple cabinets, high bar seating, and breakfast nook offers a wonderful space for entertaining or simply relaxing in. Master bedroom ensuite with a bay window, walk-in closet, double sinks, and jetted tub, handicap accessible in-law suite with separate entrance, speaker/intercom system and solid wood doors throughout, HRV system, and gas generator. Plenty of storage in and above the garage. Begin the next chapter of Your Journey here!